Cocktail Night IX: Veintiséis de Mayo! We’re back to that time of the month once again: Neighborhood Cocktail Night! It being May, we were going to have a Cinco de Mayo night, but the date kind of crept up on us, and it was moved to the 26th. No matter, the theme was retained, and we have a couple of Mexico-inspired cocktails to sip on (not to mention rice and enchiladas to consume). 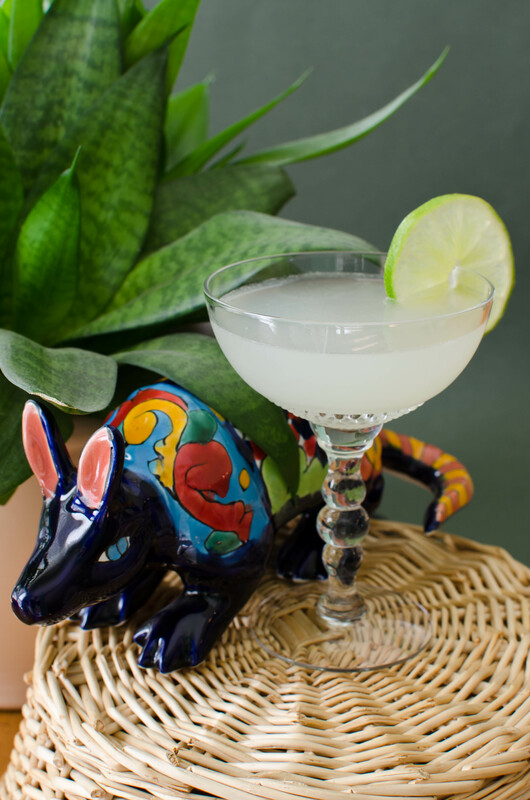 The ultimate Cinco de Mayo drink is, of course, the Margarita, which is often ranked as the most popular cocktail in the U.S. (for better or for worse) — but probably not in Mexico itself. Properly made, it’s wonderful, simple, and refreshing. Many of the margaritas that we, as a country, have sipped over the past thirty years have been made with mixers, limeade, and Jose Cuervo Gold. Things haven’t improved much in the chain restaurant scene, though some of the recent cocktail hype has overflowed into the higher-end chains and combined forces with low-calorie marketing trends. My favorite example of this is Bonefish Grill’s Skinny Rita-Tini — heaven help them for coming up with that name — which is actually a tasty, basic mix of tequila, agave nectar, and fresh lime juice. Not bad, though I’m not sure you’re shaving off too many calories compared to a traditional margarita (Jason Wilson’s clocks in at 175 calories, the major difference being the use of orange liqueur). Bonefish Grill’s offering is certainly slimmer than most, however — I read an article in the AJC that casually mentions that margaritas can top 1000 calories, making my jaw drop. What size would that thing be, a liter? And what, exactly, gets poured into it? Garnish: Lime wedge or wheel, optional salt rim. Shake with ice. Strain into either a cocktail glass or an ice-filled rocks glass. Garnish with a lime wedge. A salted rim is entirely optional, but it looks great and can be tasty — salt half of the rim if you’re unsure of your guests’ preferences or of your own. There. Simple, right? Why mess with a good thing? Ok, ok, so a bottle of decent tequila might cost 10 bucks more than Cuervo (use Sauza, if you’re desperate), then you have to buy some triple sec (even the cheapies like DeKuyper and Bols aren’t that bad) and some limes (Think those go bad too quickly? You’ll use them up in no time, trust me). One extra pour and the squeezing of a lime take up, what, an extra minute? Take another sip that homemade margarita you just made — do I have you convinced? Anyway, I have run into one persistent dilemma while making margaritas, and it’s a biggie: the balance of the drink is extremely variable. This is mostly due to the differences between brands of tequila. If you’re mixing with 100% agave tequila for the first time and you’re used to Cuervo Gold — which is cut with neutral spirits and caramel, technically a “mixto” — there’s a big difference. 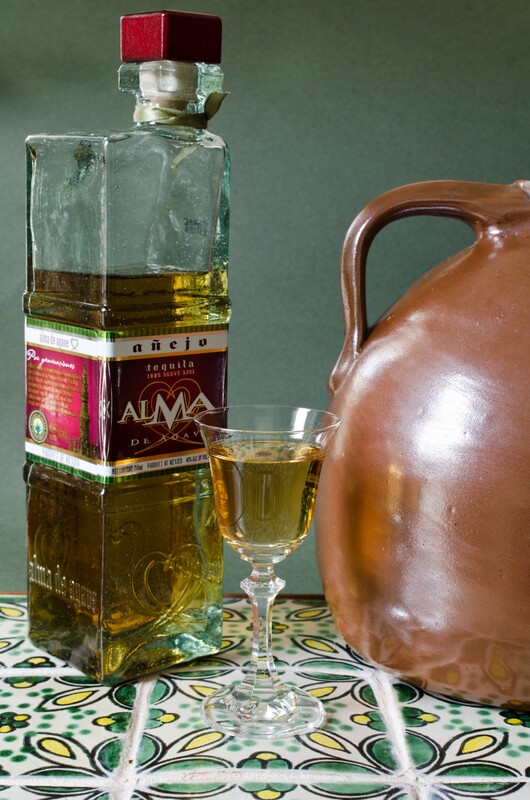 True tequilas are very vegetal, focusing heavily on the flavor of the agave plant from which they’re made. Some are stronger, some are milder, some have more agave flavor, some less. My old “standard” recipe was 3 parts tequila, 2 parts triple sec, and 1 part lime juice, and it works well for tequilas with mild flavor profiles — I used it for Cuervo (yes, sad but true) and Sauza. That recipe has, however, been ditched for the one listed above, which works very well with Cazadores Reposado, a good mixing tequila. For things like Milagro Silver and El Tesoro Platinum, I like an equal-parts formula, as both of those tequilas are very peppery and full of agave flavor, tending to overpower the lime and liqueur — use a 3-2-1 margarita formula with them and you’ll blow your guests’ socks off (apologies to friends Mike & Bev, to whom this happened). You won’t know what formula to use unless you try it out with your tequila. To keep things simple, start with equal parts and adjust accordingly. As far as the history of the margarita goes, well, it’s a mess. Many folks have taken the credit for inventing the drink, but, like many other cocktails, it was likely the product of an age and of a culture, not an individual — somebody came up with it at the same time as the guy on the other side of town. That being said, about the best explanation I’ve seen on the origin of the margarita comes from (who else?) David Wondrich and his book Imbibe. As Wondrich tells it, a club/gambling/golf resort opened outside Tijuana in 1929, and the house cocktail was the “Sunrise Tequila,” consisting of tequila, lime juice, grenadine, créme de cassis, ice, and soda. This, says Wondrich, is a drink called a Daisy, albeit a “modern-type” Daisy. The “old-school” Daisy consisted of a spirit, some lemon or lime juice, and orange liqueur. Basically, a Daisy is an individualized punch, or a sort of “fancy” fizz, “fancy” denoting the use of orange liqueur. Anyway, in the 1930s, reports of a “tequila Daisy,” filed by American journalists and tourists, began popping up and soon caught on as a popular tourist drink south of the border. The reason that all of these facts make up a convincing origin story is because of the Spanish word for “daisy,” which is, of course, margarita. There you have it. For folks who can’t get their hands on limes easily (not likely in our supermarket-based era, but just in case), one can substitute lemons, as might have been done originally in the 1920s and ’30s. Or you can take the Dave Stolte route and mix the two juices, though I like my margaritas with lime: I feel that lemon juice is too watery and too sour, and that limes have a sugary, zesty “punch” to them that lemons do not. Shake tequila, lime, and cassis with ice and strain into a Collins glass filled with fresh ice. Top with ginger beer. Garnish with a lime wedge. Adapted from Home Bar Basics, by David Stolte. Despite the title, this is a refreshing, semi-light drink that won’t sneak up on you (well, no more than a Fizz would, anyway, and certainly not a Zombie). 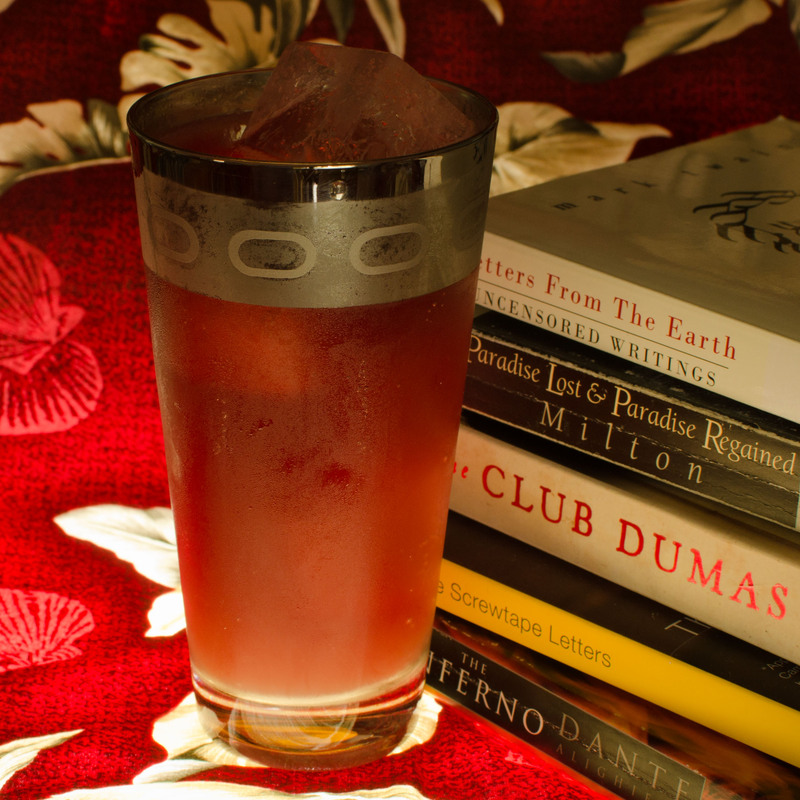 The Diablo is very much the Sunrise Tequila, as described above, though the carbonation is provided by ginger beer or ginger ale, a modification made by Trader Vic in 1946. 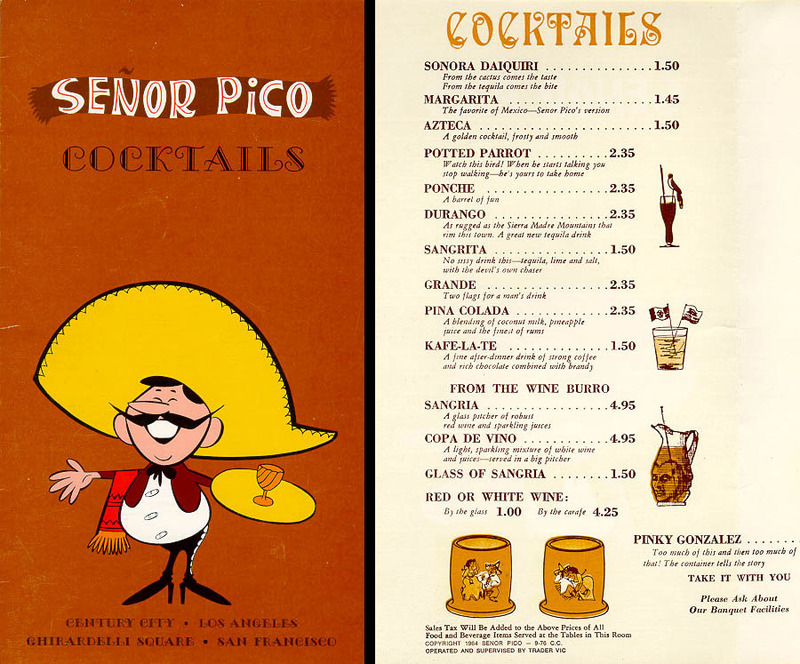 Originally called the “Mexican El Diablo,” Bergeron removed it from his Trader Vic’s menu in the 1950s only to re-use it in the ’60s at his Mexican restaurant chain, Señor Pico. As Vic said of the Diablo in Trader Vic’s Book of Food and Drink, “I hate like hell to bring up unpleasant things at a time like this, but go easy on this one because it’s tough on your running board.” Really, Vic? Maybe after three or four of them, sure. 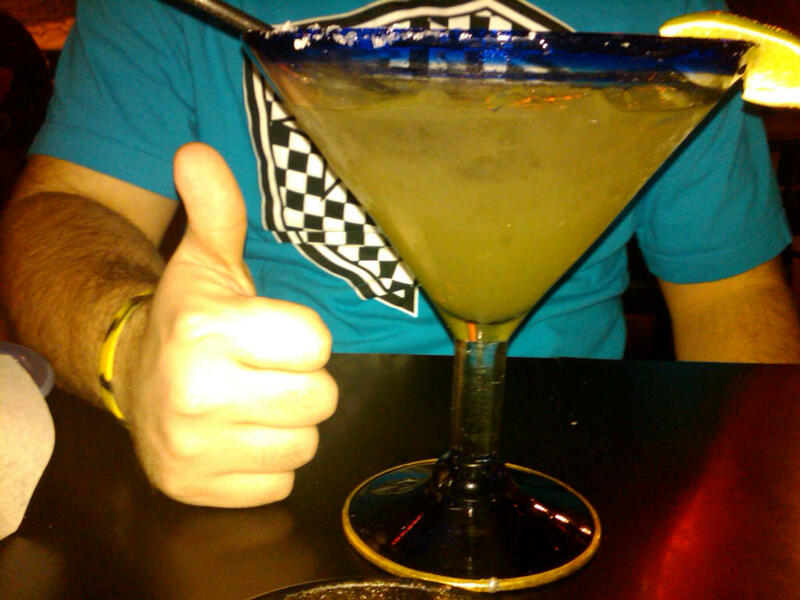 The Diablo is a rather good tall drink, and a nice alternative to the Margarita. The color is a pleasing, fizzy mauve — not hellfire and brimstone, sure, but pretty. The cassis — blackcurrant liqueur, ideally from France — melds surprisingly well with tequila, and to me it’s vaguely reminiscent of true pomegranate grenadine (probably why grenadine replaced cassis in the modern-day Tequila Sunrise). Use a nice, vegetal, silver tequila here — it comes out well with Milagro and El Tesoro — to match the ginger beer and cassis. Even though I used ginger beer, I feel the drink is lacking is a bit of zingy depth; perhaps some bitters or a lime zest could be employed, though the lime wedge garnish does help, scent-wise. I also found the drink a tad sweet, so I like to up the lime juice to a 3/4 ounce; alternatively, squeeze in the lime wedge and drop it in the drink. As for the ginger ale/ginger beer debate: yes, the original recipe lists ginger ale, but the ginger ale of the 1940s may have been more like our ginger beer, with a bit more bite and a fuller flavor. Either one works, in my opinion, so choose away, though I suggest a mellower ginger beer (Bundaberg or Goslings) rather than one with more bite (Fentinman’s or Blenheim, actually a ginger ale), as a hotter beer tends to take over the drink. Ginger ale will yield a lighter, crisper drink, though you won’t get the same honeyed, floral, cassis-tequila-ginger interaction that you’d get with a ginger beer. Finally, I picked up an añejo tequila for the gang to try. I have to confess, tequila hasn’t been a favorite spirit of mine, and has remained relatively low on my list of priorities (unless you’ve read the PDT Cocktail Book, there really aren’t that many tequila cocktails out there), so up until our cocktail night, añejo tequila has gone untried — a shame, really, as I didn’t know what I was missing. Añejo is for sipping neat, and the Alma (“Soul”) de Agave is, I must say, a treat, and quite possibly the smoothest tequila I’ve ever had. I’m guessing the 18 months of barrel-aging play a part in that. The grassy, peppery nature of silver tequilas is tamed, in this case, by oak: what you get instead is lovely, mellow and golden, with no oiliness (which I’ve noticed in Milagro’s silver), and some reviewers have noticed honey and cinnamon. I’d say it’s a bit light for a barrel-aged spirit, kind of like Irish whiskey compared to bourbon. Oh, and that bottle is just too cool. Special thanks to Tim of H&F Bottle Shop for suggesting it to me. One last thing: I haven’t provided a tequila primer for this particular cocktail night (this post is way too long as it is), but if you’re wondering which tequilas to try, check out Jason Wilson’s “Agave Primer” at Table Matters. I’ve found his suggestions to be spot-on in the past. This entry was posted on May 27, 2012 by IJ Lauer in Agave Nectar, Creme de Cassis, Drink Recipe, Ginger Ale, Ginger Beer, Heron Social Club, Lemon Juice, Lime Juice, Spirit Information, Tequila, Triple Sec and tagged alma anejo, cocktail, cocktail night, creme de cassis, drink, el diablo, ginger beer, lime, margarita, recipe, Tequila, triple sec.